The whole Quran is a manifestation of beauty and eloquence, but there are certain Surahs that just hold a special place in people’s hearts. Surah Yusuf is one of those profound and beautiful Surahs of the Quran and it is the subject matter that makes it so amazing. You’ll find this Surah has the most views on YouTube, books have been written about gems from this Surah, articles are posted, tafsir halaqat are organized and lectures are delivered; yet we *never* cease to extract benefit from this remarkable Surah. This post might be a tad bit lengthy; because this is our chance to vent out obsessions that we’ve had for this story. I remember talking continuously for an hour and a half about Surah Yusuf on our way to university in Makkah, and we still had so much to say! I remember pondering over Ya’qub alayhissalam’s reaction to Yusuf’s dream, and his gentle concern and encouragement (actually, that was more of a rant), wondering where he took parenting lessons from. I remember telling an engaged group of little boys about Yusuf ‘alayhissalam’s adventures and his “scary” experience in the dark well. I remember when I finally memorized this Surah and recited it over and over in my salawat, honored and blessed to be able to (somewhat) relate to all the humane emotions so beautifully depicted in the Book of Allah. I remember hoping to one day study this Surah in depth and fall in love with what Allah s.w.t, tells us is the best of stories! And thats what we’re going to do here. Going through a list of resources, we’ve made a comprehensive compilation of benefits derived from Surah Yusuf in many different aspects, including the Arabic rhetoric, all the while sticking to the Saheeh ahadith and majority opinion of Sunni scholars of tafasir. This Surah, according to the majority consensus, was revealed all at once in Madinah. In the biography of the Messenger of Allah sallalahu ‘alayhi wa sallam are signs and lessons. And in the most critical and severe of times in Makkah, three years before the migration, Khadeejah passed away. Soon after, his paternal uncle Abu Talib passed away. Within a year, the Messenger of Allah lost two of his best friends, loyal supporters and adamant protectors. Soon after, Allah s.w.t. blessed the Messenger of Allah with the Isra’a and Mi’raj, which caused the kuffaar of Makkah to belie him and shun his message altogether; calling him absurd and mad; they turned away and rejected him until no one was entering into Islam. The Messenger of Allah sallalahu ‘alayhi wa sallam dubbed that year: the year of sadness. He was going through a tough time, experiencing severe jolts of loneliness and sadness, and the believers suffered with him as Quraysh intensified their torturous moves. Now, how many times has one of us gone through a rough patch in our lives? How many times have we needed the calm soothing assurance of a good end for those who do good? How many times have we been separated from those we love, not knowing if our paths will cross again? How many times have we struggled with oppression from the “strong group”? And finally, how many times have we repeated to ourselves in reassuring whispers the Promise of Allah to His faithful believers that victory is for the pious and the patient? This Surah is a manifestation of the Promise of Allah; it is a manifestation of Allah’s wisdom, and the fruits of true reliance from a sincere slave. 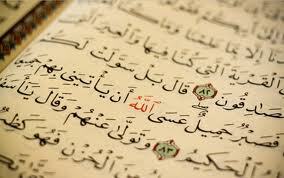 The way of Allah is that before victory He gives us hope through His Book. It is our direct connection to our Creator, the One in Whose Hands are our souls, and the One Who has full control over our hearts. During this hardship that Rasulallah went through, Allah revealed Surah Al-Israa and Al-Furqaan, then Surah Yunus and Hood were revealed. In these Surahs were comforting stories and beneficial lessons for the Messenger of Allah and his followers. It was a reminder to the Messenger of Allah that there were messengers before him that went through adversities in pursuit of this truth, and he sallalahu ‘alayhi wa sallam was a part of that brotherhood of messengers. Messengers who were appointed by Allah to deliver His message were susceptible to these human emotions and weaknesses and Allah s.w.t comforted and consoled them through the Quran. Undoubtedly, the Quran remedies sadness and loneliness. And the last of these beautiful Surahs is Surah Yusuf. Its so true that words can paint pictures. A picture would give just the surface material look, while words can take you right in. The gist of the story is felt right from the beginning, so stay tuned for the next post and we’ll delve straight into the Surah itself! Omg umm saifullah ( cz I can’t use my nick name here ) this post was SO beautifull!!! Keep up the good work !! May duas with u guyys!!! U nd Niqabinja are awesome!